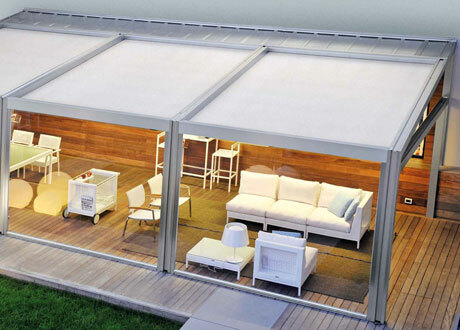 Corradi offer custom-made and innovative patented solutions for every outdoor space. 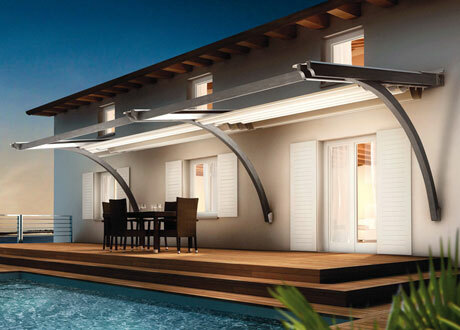 Founded in Bologna Italy in 1970’s they provide a world class contemporary retractable waterproof fabric overhead awning systems that protect you from the sun and the rain like no other. 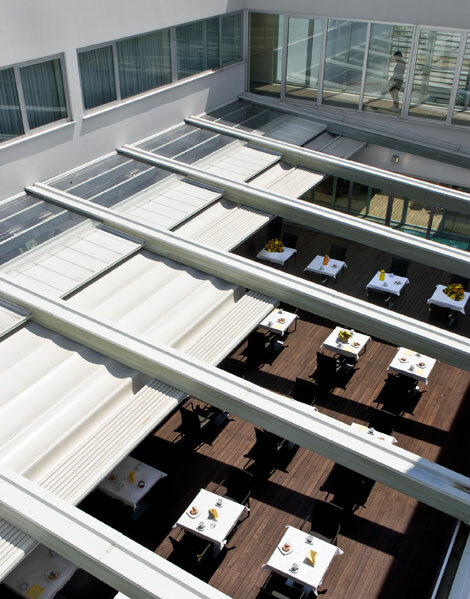 The Pergotenda® range is the corner stone of the retractable roof covering ranges. It is innovative in its design and uses cutting-edge technology. They are available in either aluminium or timber materials. 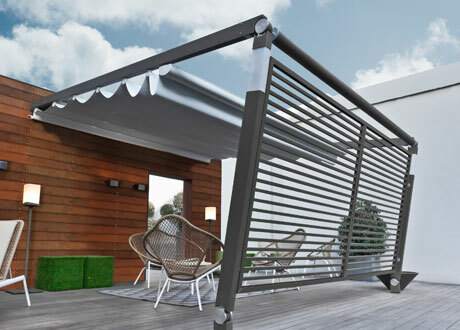 The range of designs covers simple installations that can be anchored to a wall or an existing pergola structure to complete self-standing external rooms. 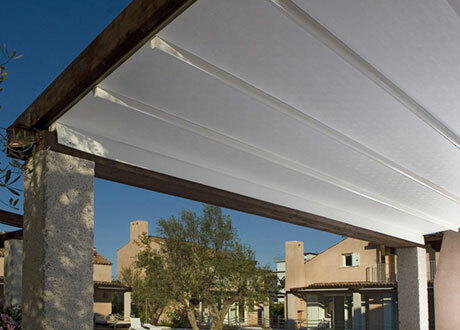 Corradi systems offer great peace of mind, as unlike a conventional awning, they are able to withstand most weather conditions. Created using curved glulam beams for supports this creates a dramatic effect for any outdoor living space. The beams are wall fixed to an existing structure and protects flat on 8 degree slop for rain run off. The basis of the Corradi Pergotenda® range is the Impact runner system. These runners carry the fabric and can be incorporated into any pre-existing frame or structure. 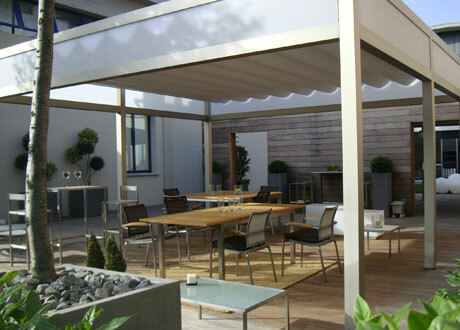 They can be installed running out flat or tilted which is ideal to integrate into your outdoor design planning. Complete free standing or wall fixed external aluminium framed room fitted with built in concealed downpipes. Choose from timber frame variations like the PT100 or PT120 to bring in the warmth of timber finishes. Millenium is an aluminium design offering a generous and well proportional style which can be anchored to wall or existing structure. Timber version like the PT45 and PT60 bring in the feel of timber as desired. Move Retractable Roof: a simple contemporary design using aluminium pillars that can be set on angles thanks to two innovative hinges. The system can incorporate LED lighting.